What's the difference between Base-8 and Base-12 fibre optic cables? Corning is known for the tough Gorilla Glass used in phone by many people. But the company is synonymous with fibre optic cables. (Picture: Groman123, Flickr). What is a Base-8 optic fibre connector? When describing fibre optic links, people will use a variety of terms to describe the link based on the connector type and number of fibres they are using within the link. Base-2 is the easiest to understand and visualise. With Base-2 connectivity, our links are based on increments of two fibres, such as what is commonly seen with LC duplex or SC duplex connections. By comparison, Base-12 connectivity makes use of links based on increments of 12, with 12-fibre connectors such as the MTP. And recently, Base-8 connectivity solutions have started appearing. Base-8 systems still use the MTP-style connector, but the links are built in increments of eight fibres, including eight-fibre MTP connectors. For example, in a Base-8 system, we don’t have 12-fibre trunk cables, we have eight-fibre trunk cables, and 16-fibre trunk cables, and 24-fibre trunk cables, and 32-fibre trunk cables; all Base-8 trunk cables are increments of the number eight. The distinction between Base-12 and Base-8 is shown in the following figure. Base-12 connectivity was first introduced in the mid-1990’s, driven by a collaboration between IBM and Corning to develop a modular, high density, structured cabling system which could be deployed in data centres quickly, while also maximizing port densities within the rack space. As data centres grew from just a few fibre connections to data centres where there were thousands or tens of thousands of fibre ports, it was obvious that stringing two-fibre patch cords across all corners of the data centre was going to result in an unmanageable, unreliable mess. Given that the TIA/EIA-568A fibre colour coding standards are based on groups of 12 fibres, it made sense for high density connectivity to be based on an increment of the number 12, and so the 12-fibre MTP connector, and Base-12 connectivity, was born. Trunk cables based on increments of 12-fibres, all the way up to 144-fibres, were soon available and being deployed globally. Base-12 trunk cables are generally used in the network backbone, from the main cross connect out to zone distribution areas, where fibre counts are high, and where high density is essential. To connect to ports on the servers, switches and storage units, most fibre ports are two-fibre based, so Base-12 to Base-2 breakout modules and harnesses are used to provide a two-fibre interface for the two-fibre port. Since the number 12 is wholly divisible by the number two, we can easily provide the two-fibre interface into the network equipment with full fibre utilisation of the Base-12 backbone trunk cables. Base-12 connectivity has served the data centre industry well for almost twenty years. As deployments of the 12-fibre MTP connector have grown exponentially over the years, the MTP is now the de facto standard in the backbone for many data centres. However, times-they-are-a-changin’, and recently the need for Base-8 connectivity has become evident. This is due to the types of transceivers that switch, server and storage makers use in their equipment, and the transceiver roadmap which is guiding the industry from 10G Ethernet to 40G and 100G, and even up to 400G. Technology changes quickly in the transceiver world, but anyone who has installed 40G circuits will know that one of the most common transceiver types is the QSFP transceiver, which utilizes eight fibres. We can use Base-12 connectivity to connect to QSFP ports, and indeed many people who are operating 40G circuits today have Base-12 connectivity in their backbone, but even the most basic student of math can understand that plugging a 12-fibre connector into a transceiver which only requires eight fibres means that four fibres are being unused. There are solutions on the market which enable full 100 per cent utilisation of the backbone fibre in this scenario, via Base-12 to Base-8 conversion modules or harnesses, but this adds additional MTP connectors, and additional insertion loss, into the link. This is generally not optimal, both for cost and link performance reasons, and so the industry has identified that a better way forward is needed. That better way is Base-8 connectivity. When talking with major transceiver, switch, server and storage makers, it is quite clear that the present, near future, and long term future is full of transceiver types which are based on either Base-2 or Base-8 connectivity. In other words, for Ethernet transmission ranging from 40G to 400G, all roads lead to two-fibre and eight-fibre connectivity solutions. As the table shows, on the road to 400G, there will be some short-lived solutions, such as the first and second generations of OM3/OM4 parallel transmission, which are being proposed as Base-32 and Base-16 solutions. However, from Corning’s discussions with prominent transceiver, switch, server and storage vendors, it is not expected that these solutions will be widely deployed, due to manufacturing cost and connector complexity reasons (for example, do you really want to introduce a 32-fibre connector into your network?). It is expected that for 400G utilizing parallel transmission over OM3/OM4 fibre, the third generation solution, a Base-8 solution, will be what gains widespread market acceptance. Since the number eight is wholly divisible by the number two, Base-8 backbone connectivity can be easily used for two-fibre transceiver systems, just as Base-12 connectivity can be. However, Base-8 connectivity provides the most flexibility for what are expected to be the most common 40G, 100G and 400G transceiver types, as Base-12 connectivity is not optimal for eight-fibre transceiver systems. Simply stated, Base-8 connectivity provides the most future proof solution out to 400G transmission requirements. Can Base-8 and Base-12 be Used Together? Well, yes and no. It depends on how you define the words “used together.” If you mean directly mixing the components, and plugging a Base-8 trunk into a 12-fibre module, then the answer is a definitive “No.” The components are not designed to be plugged directly into each other, and as such, Base-12 and Base-8 MTP systems are designed with visual differences, so that mixing Base-8 and Base-12 components in a single link can be avoided. A key reason for the visual differences is that Base-12 trunk cables generally have unpinned MTP connectors on both ends, and require the use of pinned breakout modules. However, the emerging Base-8 trunk cables are manufactured with pinned connectors on both ends. So plugging a Base-8 trunk cable into a Base-12 breakout module definitely won’t work, as that would mean trying to mate two pinned connectors together. The reason for this change in the trunk cable pinning scheme is that this provides the advantage of ensuring that wherever it is used in the network, a Base-8 MTP patch cord can always have unpinned connectors on both ends. This simplifies the network deployment and eliminates the need to stock multiple pinning configurations of MTP patch cords. However, if by “used together” you mean having both Base-8 and Base-12 connectivity in the same data centre, then the answer is “Yes,” although this “Yes” comes with a caveat. The caveat is that the Base-8 and Base-12 links have to be maintained independently, because as previously stated the Base-8 and Base-12 components themselves are not interchangeable, and Base-8 and Base-12 components cannot be plugged into each other within the same link. So some care is required when managing the data centre physical layer infrastructure, to ensure that Base-8 and Base-12 components are not mixed within the same link. Base-8 versus Base-12: How to Choose? Since the number 12 is obviously larger than the number eight, Base-12 connectivity does provide the benefit of higher connector fibre density compared to Base-8, and thus a larger number of fibres can be installed more quickly when using Base-12 connectivity. However, as a greater number of 40G and 100G circuits are deployed which utilize eight-fibre transceivers, the benefits of matching the fibre count in the MTP backbone connectivity with the fibre count of the transceiver tends to outweigh the density benefit of Base-12 connectivity. In addition, when using MTP to LC duplex breakout harnesses to connect to switch line cards, the Base-8 harnesses easily route to all common port count line cards, as all common line cards contain a number of ports wholly divisible by the number four (since a Base-8 harness provides four LC duplex connections). In the case of Base-12 harnesses which provide six LC duplex connections, these harnesses do not as easily route to lines cards with 16 or 32 ports, since the numbers 16 and 32 are not wholly divisible by the number six. The following table describes the relative benefits when comparing Base-8 versus Base-12 connectivity for a data centre deployment. 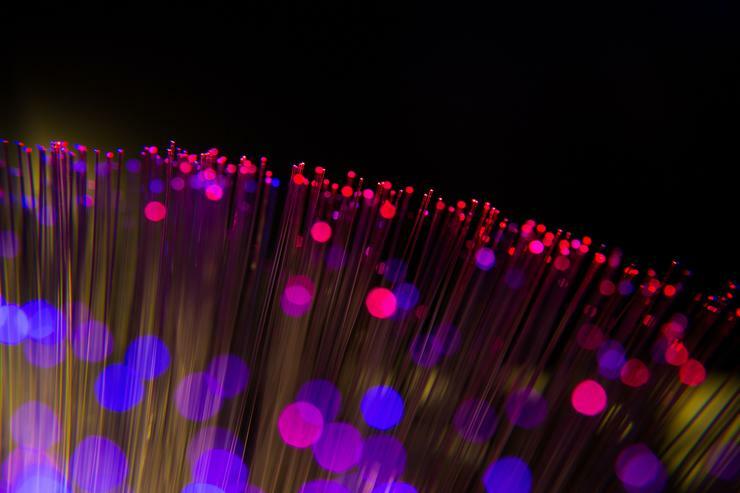 Although the fibre per connector density cannot be overlooked, for most people the decision will come down to how quickly they are migrating to 40G and 100G network speeds. Anyone with a near-term migration plan to adopt 40G or 100G in their data centre will find great benefit in adopting Base-8 connectivity today. Both Base-8 and Base-12 connectivity will continue to be used in the data centre for many years to come. Both have their benefits, and both will have their place in the data centre, with the usage of 40 and 100G transmission being a key deciding factor. If you are using Base-12 connectivity in your data centre today and you are happy with it, then it is perfectly fine to continue using Base-12. Base-8 connectivity is just an additional option in the network designer’s tool kit to ensure that data centres have the most cost effective, future proof network available, with a migration path that easily scales out to 400G transmission.